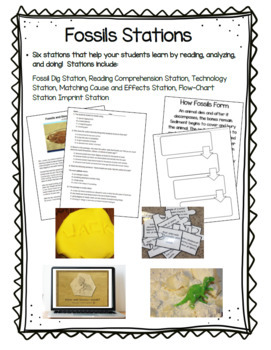 Do you want to teach students about fossils through a variety of ways? 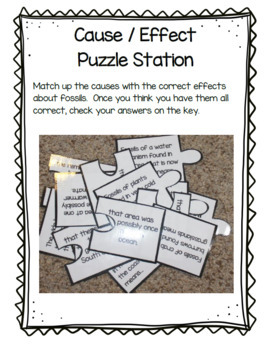 I have compiled six different stations to help teach and reinforce content on fossils! The stations include: a fossil dig station, an imprint station, a reading station, a matching cause / effect station, and a sequence / flow chart station, and a technology station! 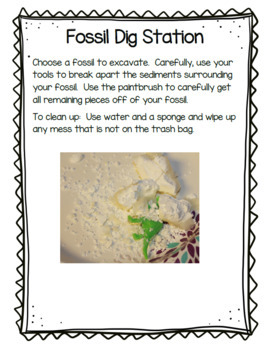 I have directions for teachers with suggested materials and what you have to prepare ahead of time (mostly for the dinosaur dig station), and I have created station signs for the students! This is based on South Carolina 3rd grade science standards, but it can span 2-4 grades!